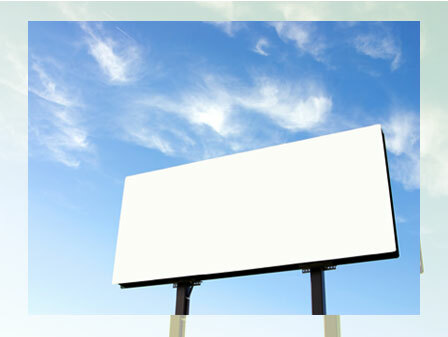 Advertising – a beginners guide on where to start. Next post: Graduated and looking for a job? As a Management and Marketing graduate I have realised that those of us who decided to study more traditional degrees can find it difficult to know where to start when looking into careers in the more creative sectors like advertising, media and PR. So my aim for this blog is to lay out some of the places to get info and advice on careers in the advertising industry. The industry can be a little confusing as there are some huge agencies and a lot of smaller ones too. If you are already savvy on the world of advertising this blog may not be that helpful to you but if I miss anything you feel is vital please do comment! An essential thing to begin doing is following advertising content online. There are some great blogs out there for students and grads both looking at how to get into the industry and also for those beginning work within it. One thing all agencies say is that they look for evidence of a genuine passion for advertising in an applicant, before anything else. Although you might know just how passionate you are, conveying that becomes easier when you can draw on examples to show a real insight. Firstly brush up your basics on the IPA as they are a key player! If you haven’t heard of the IPA before, put shortly they describe themselves as “a professional body representing more than 300 advertising, media and marketing communications agencies across the UK”. They are also proactive in organising events for students and grads and even have their own scheme ‘Creative Pioneers’ which places interns within ad agencies. There was a blog post recently on the IPA – have a look for a bit more info. Their blog AdMISSION is a good place to start. They have recently changed over to this blog from ‘GradVantage’ so there might be a little wait while they get all the content sorted but it is a great place to start understanding the different roles in advertising. I can’t profess to know the ins and outs of all the roles involved in advertising but learning the distinction between Account Planners and Account Managers really helped me to see where my skills would fit in best. Another great blog is Ad Grads, created by two graduates to share their knowledge of how they got into the communications industry and how others can too. Here you’ll find links to all sorts of other interesting sites to build your knowledge. Along similar lines to this is Gradvertising. Campaign is arguably the main player and Brand Republic is a great hub for all things advertising, media & PR. AdWeek and similarly Marketing week and PR Week have some great free content but are subscription magazines too. Ok, I may have gone overboard with all these links, i’m sure from here you can start to build your knowledge and work out what areas interest you the most! I'm Sophie. I'm a graduate of Manchester Business School who is currently working as a Marketing Assistant at the Careers Service, slowly but surely accepting that I'm no longer a student and a real-life grown up!